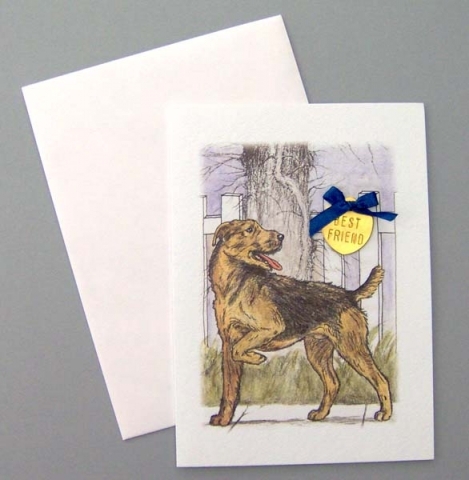 1 blank notecard and envelope with a "Best Friend" tag for your dog. Airedale image created by Charles Livingston Bull, 1926. Note on back reads: "This was an Airedale terrier of excellent antecedents though he was somewhat larger than the conventional show type. Save for the black saddle on his back, he was the color of roadside ferns in November."